International School of Nursing believes that education is the heart of success. It paves the way to accomplish the endeavor that has no measure. It enhances the talents and skills of individuals who want to achieve their goals. It is dedicated in preparing and trains our students to become efficient and effective members of the health care team. 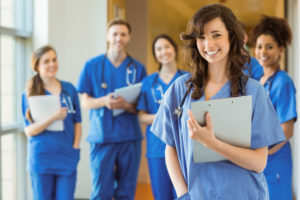 Goals and objectives of International School of Nursing are built upon the belief that the program develops a competent and skilled health care support worker. Course, units, classroom, skills and clinical training for each course are systematically developed from the program objectives and provide the students with the necessary education and training to meet each objective in a timely manner and the graduates to demonstrate their roles and objectives as health care support workers. Education is the heart of success. It paves the way to accomplish the endeavor that has no measure. It enhances the talents and skills of individuals who want to achieve their goals. International School of Nursing is dedicated in preparing and training our students to become efficient and effective members of the health care team. Our school is determined to promote the highest level of education in developing an individual to become a Certified Nursing Assistant (CNA), Home Health Aide (HHA), and Sterile processing Technician (SPT) based on the guidelines set forth by regulation. The curriculum will allow personal growth for each student to meet the changing needs of the community it ultimately serves.